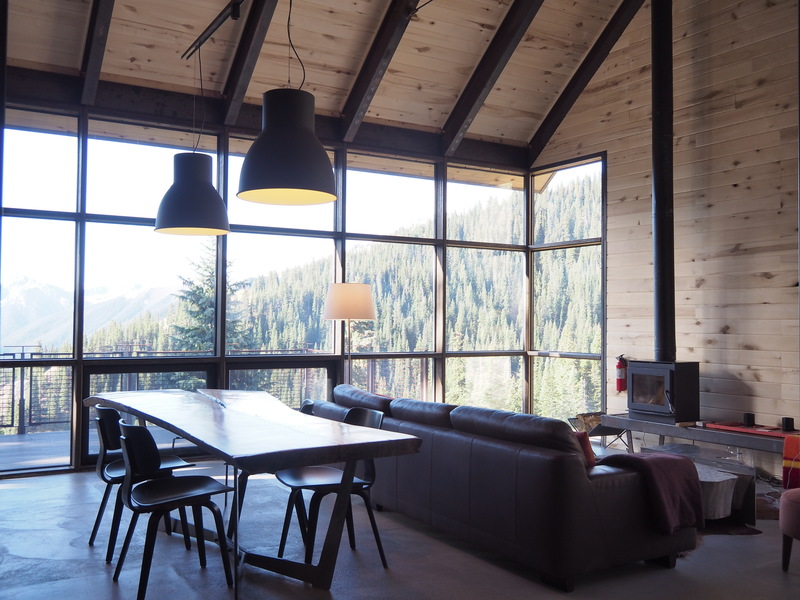 Thelma Hut offers three sleeping areas to comfortably accommodate your family or a variety of private group situations. 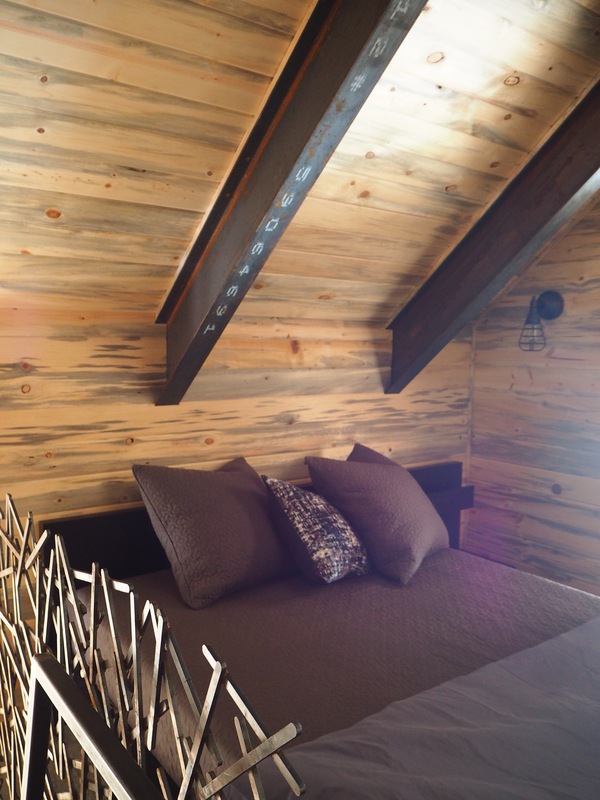 All hut beds are equipped with down comforters and pillows. 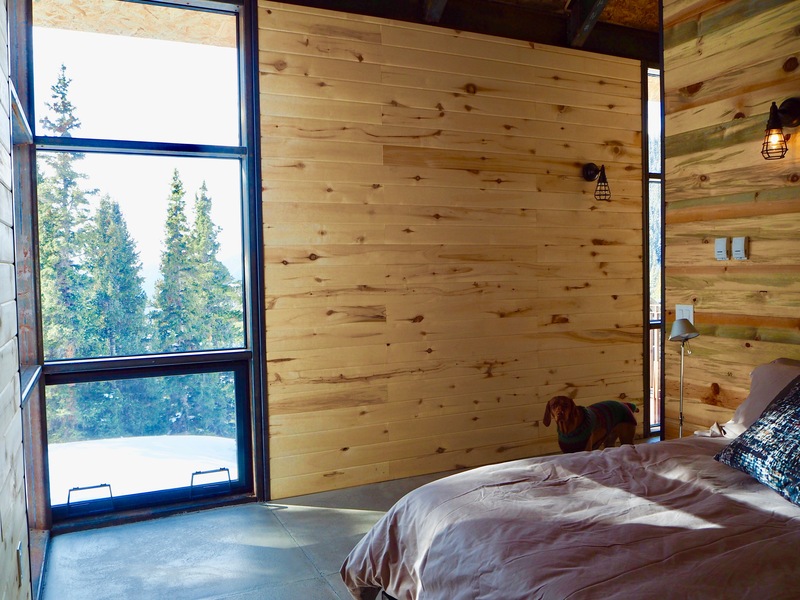 Bring your own sleeping bag liners or sheets and enjoy the comfortable beds. You can also rent liners from the hosts for $15/person/visit. 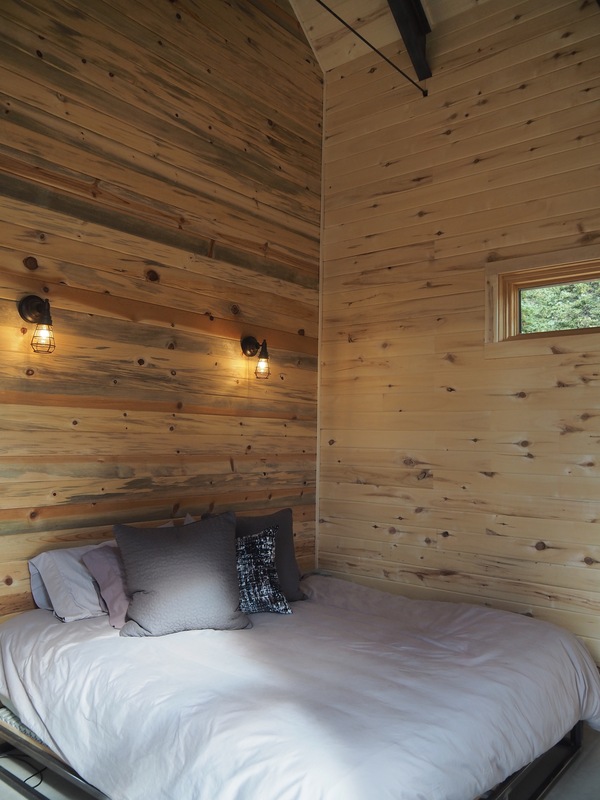 The bedroom features a comfortable king-sized bed with wall sconces for evening reading and a corner of windows connects you to the forest. 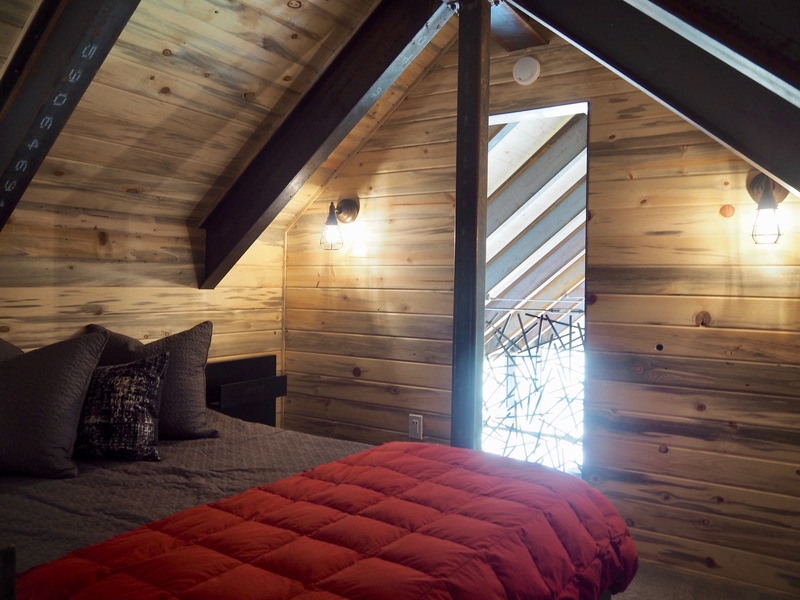 This cozy loft features a comfortable queen-sized bed, living room overlook, hooks for your things and a bench for your bags. 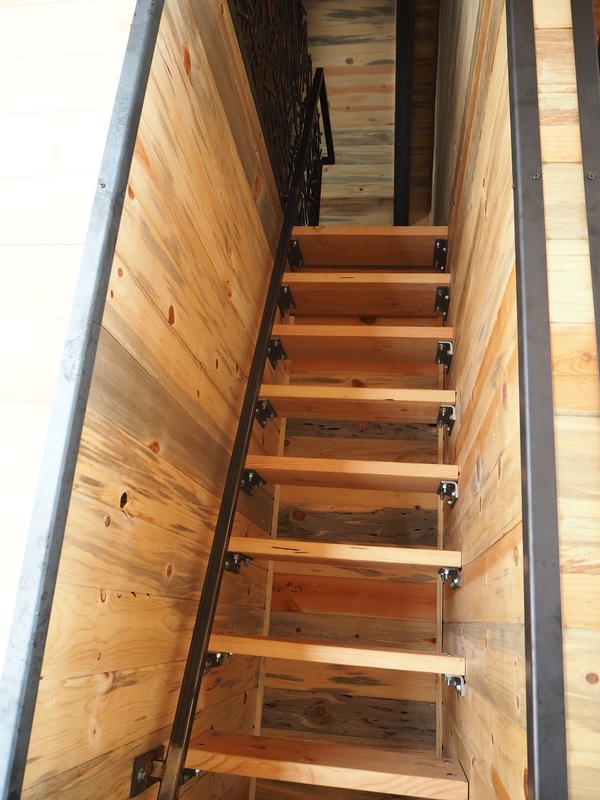 A ladder-stair provides access from the hallway. 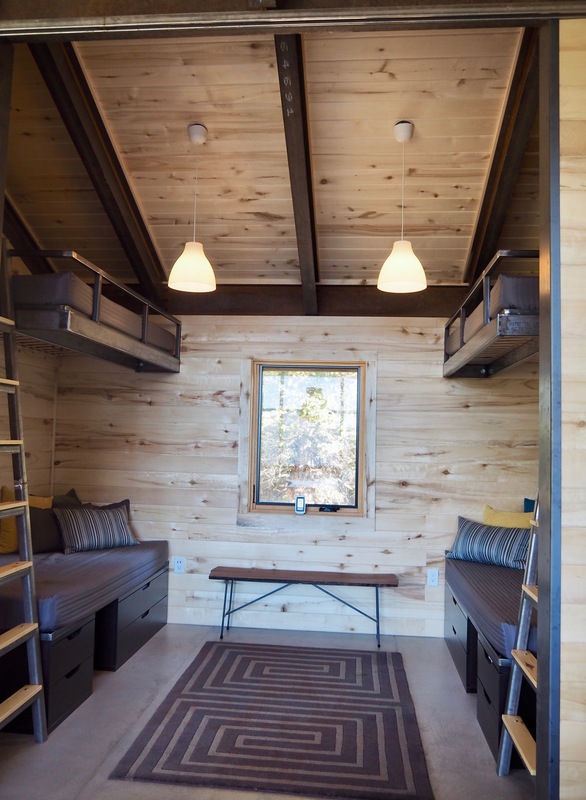 Our bunk room features four individual bunk beds with comfortable memory foam mattress, hooks for your jackets and drawers for your things. 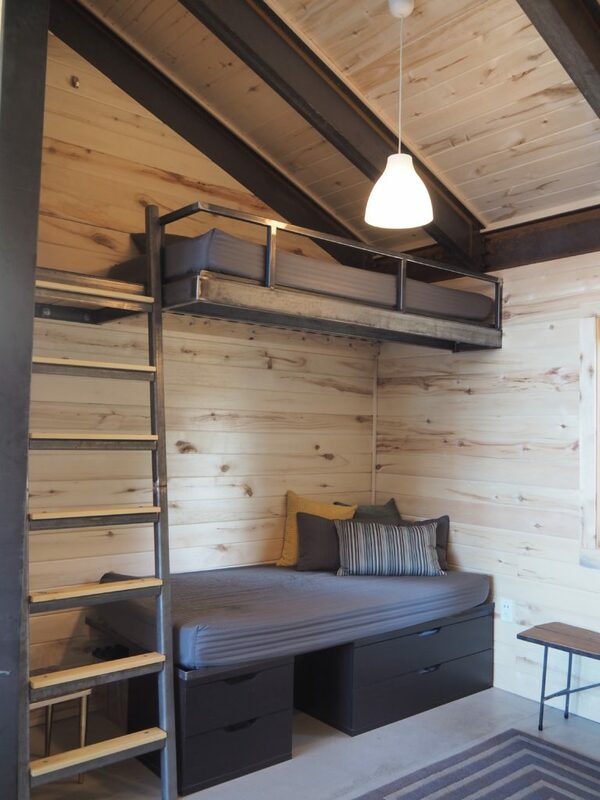 A barn door separates the bunk room from the living room. Check out our booking calendar for availability.